Hats and Rabbits: How I Went From "Patient" to "Client"
When I was a small boy, my parents would take me, for my doctor’s appointments, to Dr. Bernardin. His practice was in a converted house and there was a sign outside that said, “Dr. Bernardin, Pediatrics.” I think he lived upstairs. He would examine me and then we would sit in his office and he and my mom would talk. She called him “Doctor” and he called her “Mrs. Matarazzo.” He knew us. He’d mess up my hair and we would leave. I’d always have a lollipop in hand. 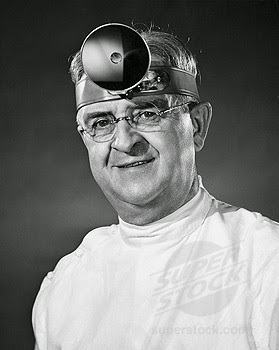 When I became a young man, I went to Dr. Milligan. His practice was in a house that was fully converted. He did not live there. The sign outside his office read, “Dr. William Milligan, MD.” Dr. Milligan was a small, serious, bearded man who would eventually discover, by feeling my neck, that I had thyroid cancer. I went through the necessary treatments and he always remembered my medical issues without looking at my records. Then, he retired in order to explore alternative medicine, but before he did, he told me in a last appointment, shaking my hand. (I think he may be somewhere in South America.) He wrote his patients a warm letter, thanking them for years of support and wishing them well. His practice was taken over, so I stayed on. The sign was changed to “Lourdes Medical Associates.” There was only one doctor – Dr. Anonymous. But the sign changed to “Lourdes Medical Associates.” Dr. Anonymous was edgy. He would reprimand me for bringing up a question he had not been aware of from my appointment notes. Still, he was reasonably thorough, if sort of hard to talk to. I stayed on. Eventually “Lourdes Medical Associates” moved to a big office building. Another doctor signed on. It became harder to get an appointment. I went from “patient” to “client.” A few months ago, I received a letter stating that Dr. Anonymous would be leaving. It was not a farewell from him, it was an announcement from the office. It was the dissemination of information, not a firm handshake. Now I need to find a new doctor. I’d like to find one whose office is in his house, outside of which there is a sign that swings in the wind or stands out, discreetly, from a black lamp post; a sign that has a person’s name on it, followed by “MD.” But that probably won’t happen.